This reversible apron pattern is from an old apron found at the flea market. The "Tulip Hot Pad" matches the apron pocket. Use the hot, new fabrics to create your version. Read more about apron symbolism on my blog. This apron is a reproduction of a vintage style. 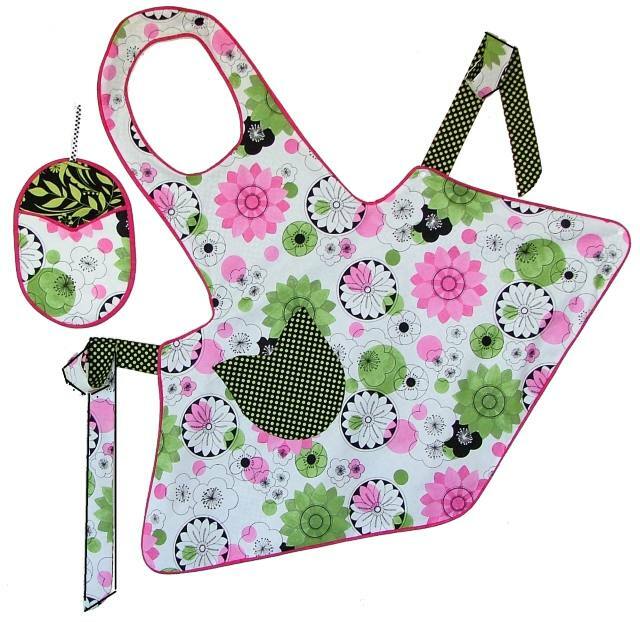 It is reversable and includes a hot pad pattern. This reversible apron pattern is from an old apron found at the flea market. The "Tulip Hot Pad" matches the apron pocket. Use the hot, new fabrics to create your version. Read more about apron symbolism on my blog.